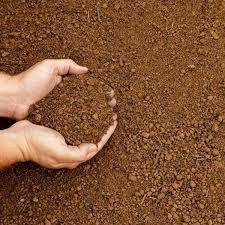 Topsoil is a highly productive, uppermost layer of the earth’s crust and is nearly 20 centimeters deep. It is vital for plant growth and takes thousands of years to form naturally. Rich in nutrients and moisture, topsoil serves as a very fertile medium for viable growth of plants and trees. Topsoil removal from the agricultural fields and landscapes can lead to irreversible depression of the land fertility. Removal of the topsoil can also result in nutrient imbalance, increasing the probability of leaching and soil erosion. Modern farming practices promote crop rotation (alternating nitrogen-fixing plants for better crop yield) to conserve the valuable topsoil. Farmers who do not follow healthy practices are destroying the top layer and the results can be quite disastrous. Biologists are concerned because if the topsoil gets damaged or degrades, more complex methods will be required to restore the nutritional balance of the soil. A trowel is a versatile pointed tool with a metal scoop-shaped blade and a handle for digging and carrying soil. It is used for planting and weeding plants. Different kinds of trowels are available in the market for different purposes. Pointed trowel works well with hard, toughened soil. Wide blades help move the soil fast, whereas a narrow blade trowel is ideal for digging small holes. Some trowels come with a depth measuring gauge to help the user know the exact depth while digging. A good quality trowel is light weight and has a carbon steel blade for better performance. A rake is a cultivating tool used to remove the top soil. Rakes groom the soil for plantation and growth of the plants. There are two main types of rakes for this purpose- bowhead rake and flathead rake. Bowhead rakes has a teethed-wide head that is used for filtering and removing unwanted waste and debris from the soil. On the other hand, flathead rakes are useful in smoothening and preparing the soil for sowing. Top-notch rakes are made from a single piece of high-carbon steel and the teeth of the rake are then inserted into the steel. This makes for easy repair of the rake if the tooth gets loose. The word shovel derives its name from the old English word “scofan” meaning “to thrust away”. An indispensable tool, shovel is used for digging, lifting and throwing of the soil. The shovel consists of the slight scoop-shaped blade and a long handle. The blade is set at an angle for sturdy grip and forceful lift of the soil. The most popular kind of shovel that is normally used for all kinds of digging is the round- point shovel. It is ideal for breaking through the hardest surface because all the force applied gets concentrated at a single point. A heavy shovel is more suitable and effective than their lighter counterparts. Although less tiring and easy to use, a light-weight shovel is fragile, tends to break easily and is less durable.